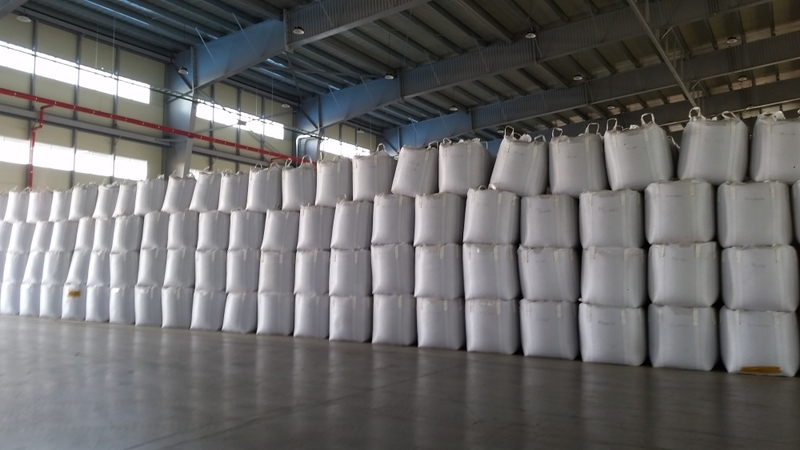 The Bulk Bag (FIBC, Flexible Intermediate Bulk Container, Tote Bag or Super Sack) has increasingly become one of the most popular dry bulk packaging solutions for various industries. 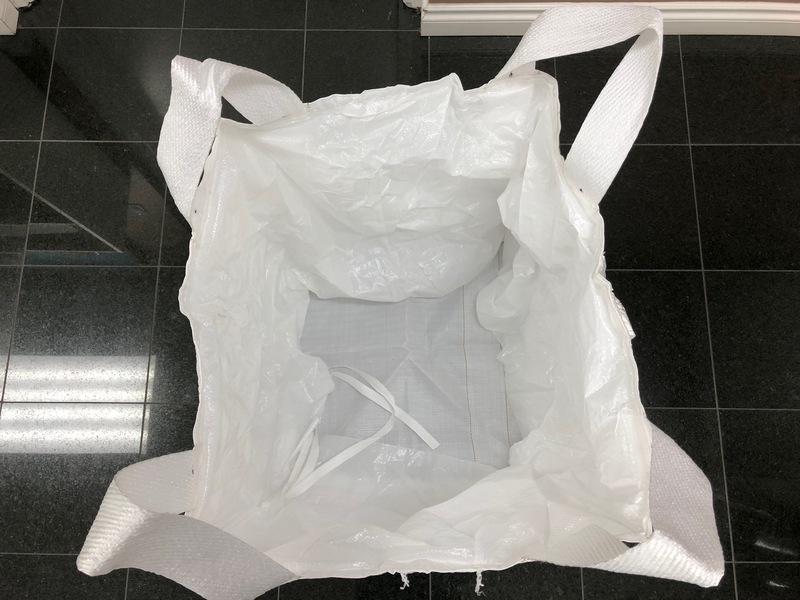 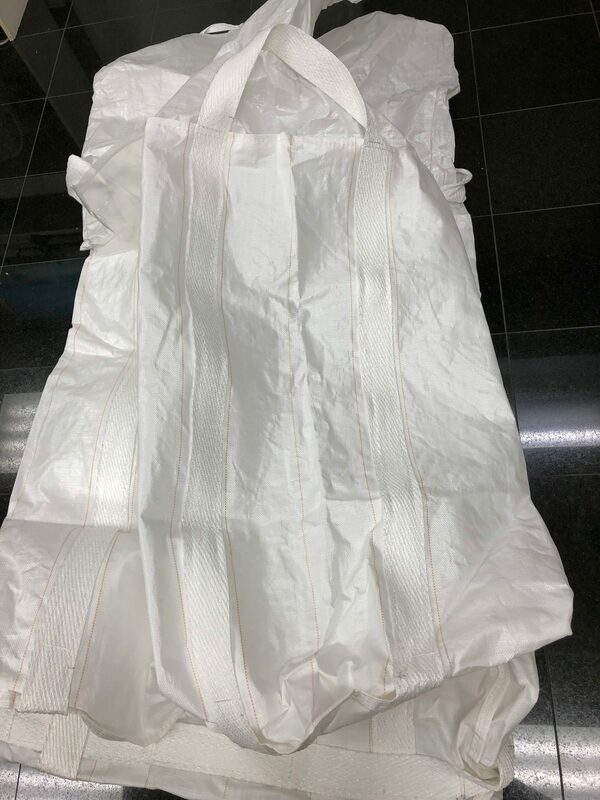 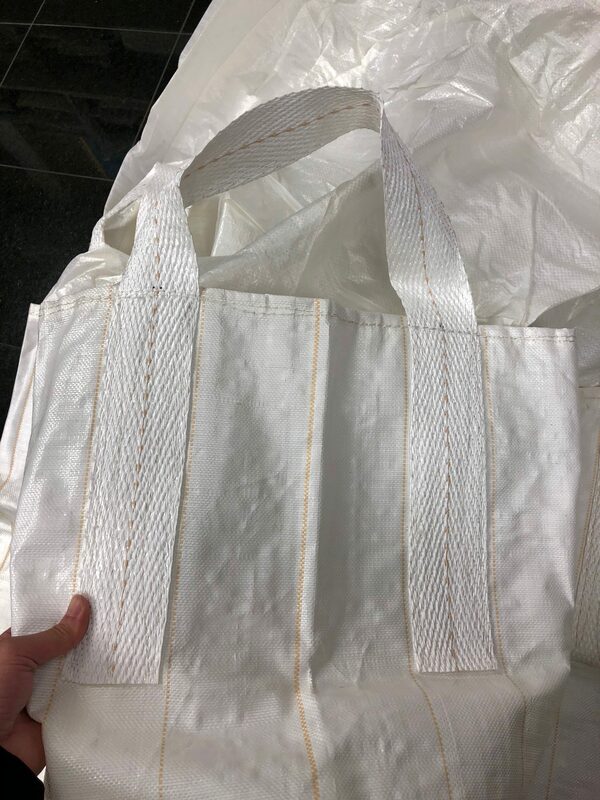 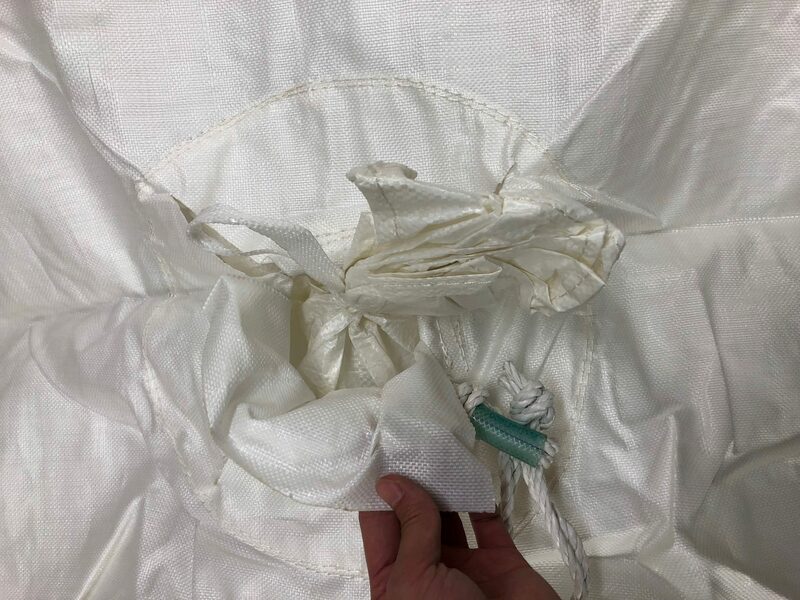 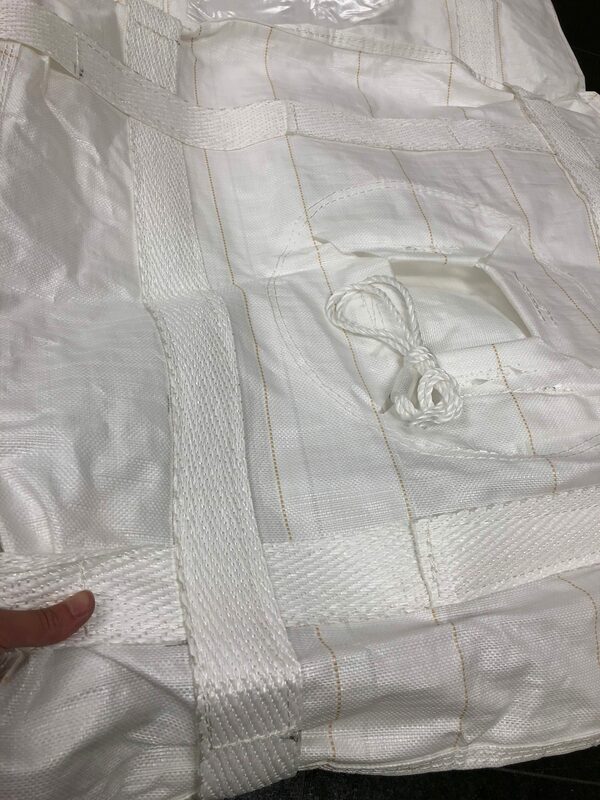 These bags are constructed from heavy duty polymer tapes interwoven together in higher density to form a super high strength polymer woven fabric that can withstand substantial loads that you typically would not expect from a plastic bag. 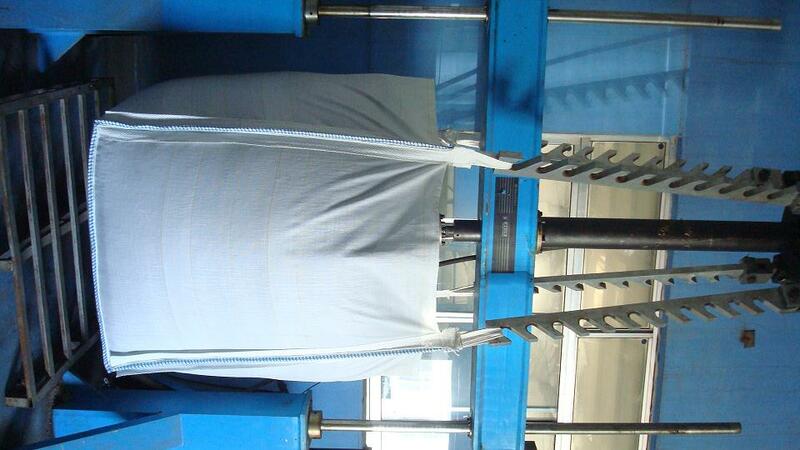 The safe working loads for these bulk bags are commonly rated at 1000 Kgs (2200 Lbs) of your filled product per bag. 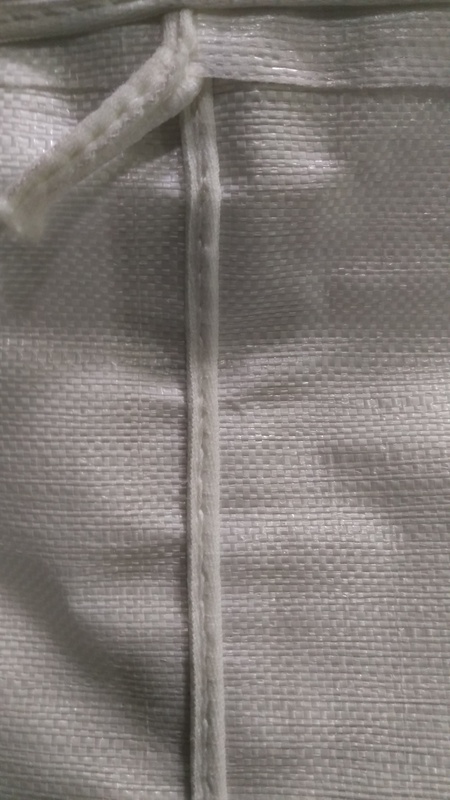 Higher working loads are available if it is required for your application. 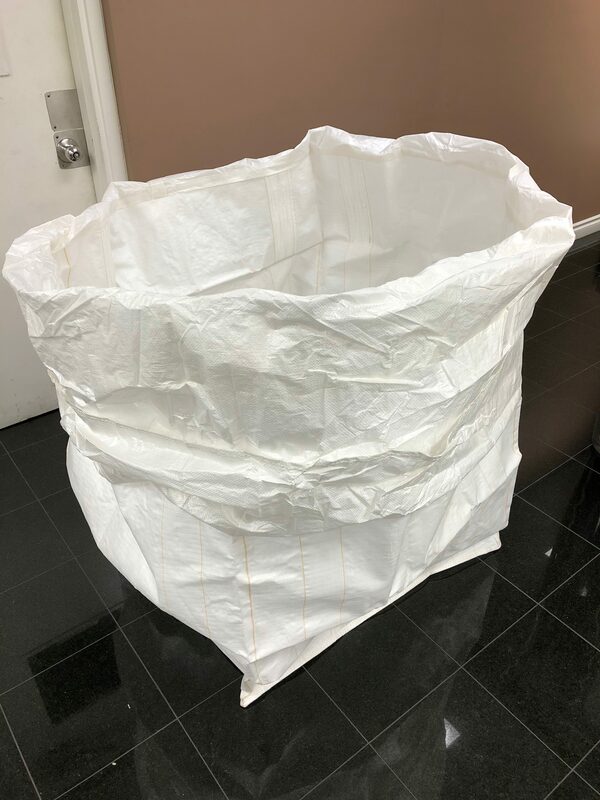 These flexible bulk bags are a popular alternative to the much more expensive rigid containers or drums. 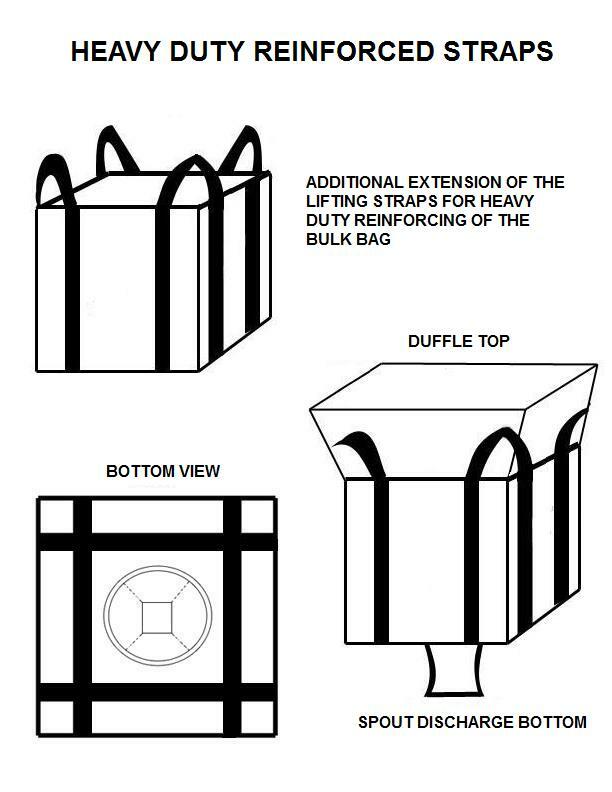 Each bag comes with four lifting loops to allow for forklift or crane handling. 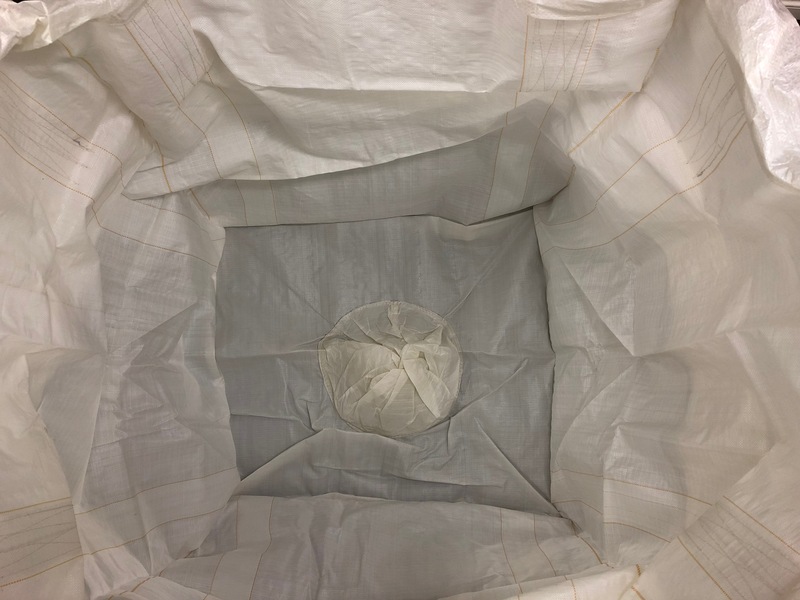 There are different filling and discharge options available to suit your equipment and operations. 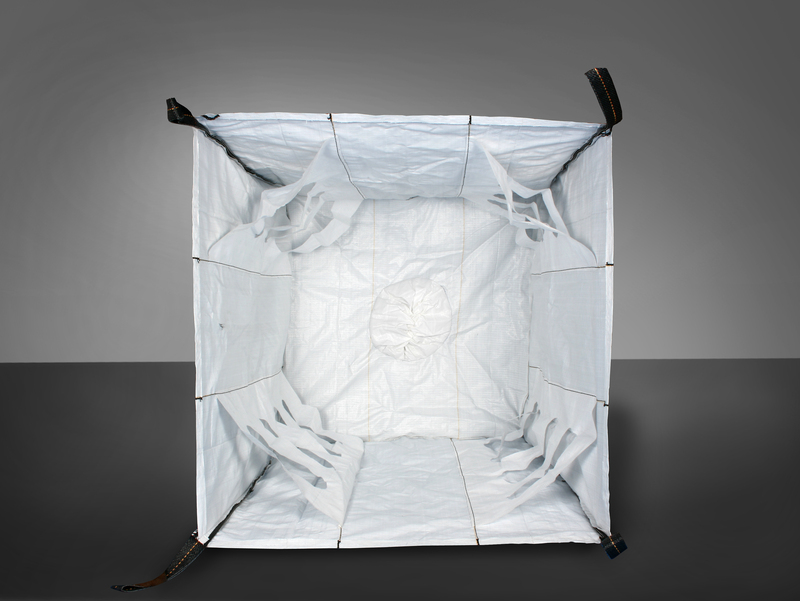 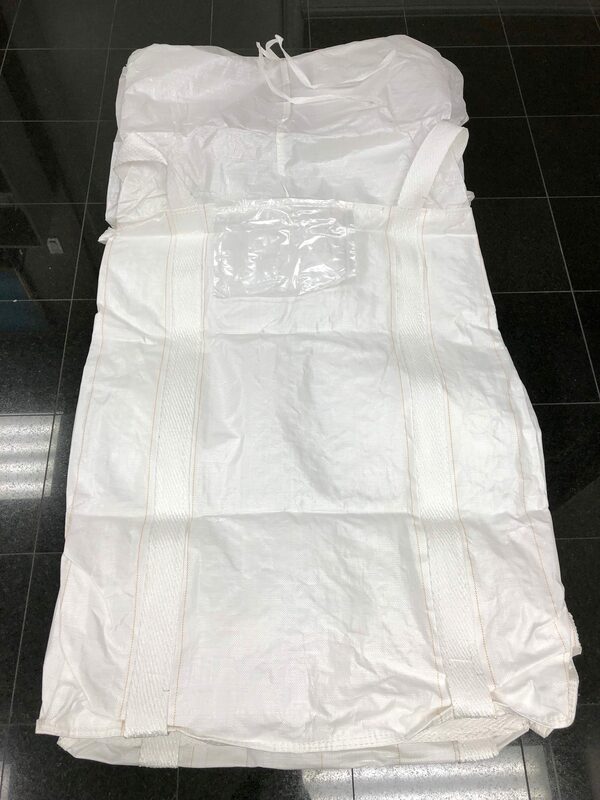 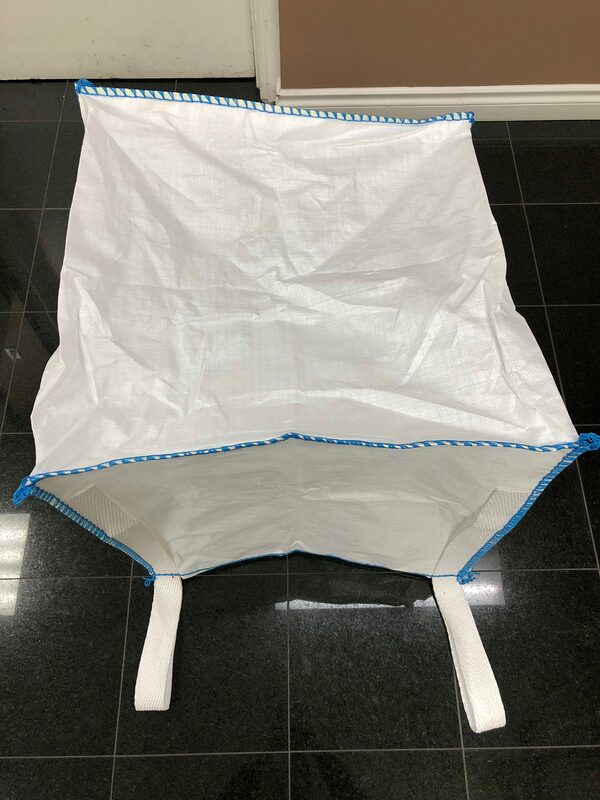 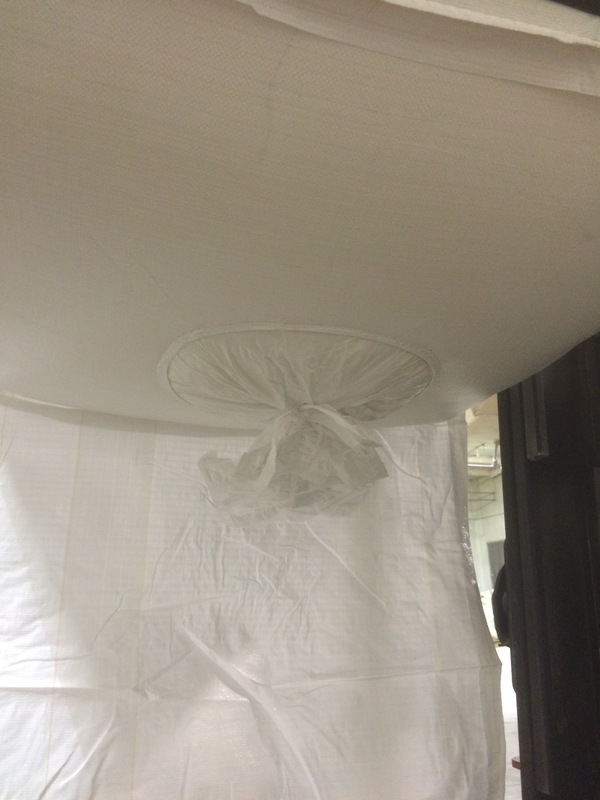 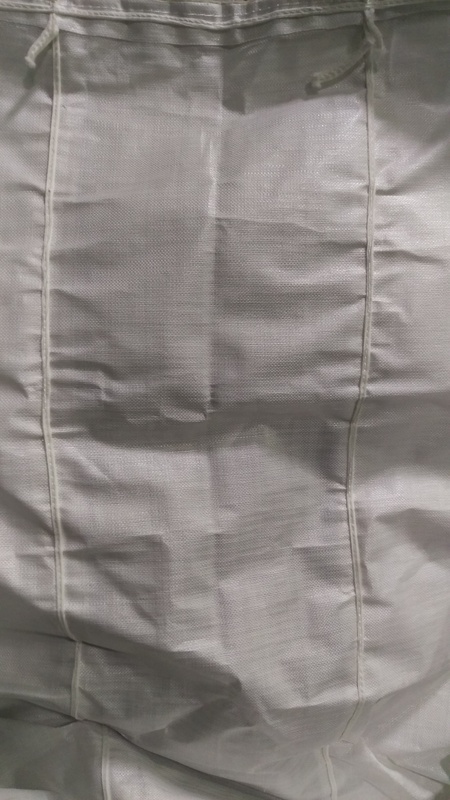 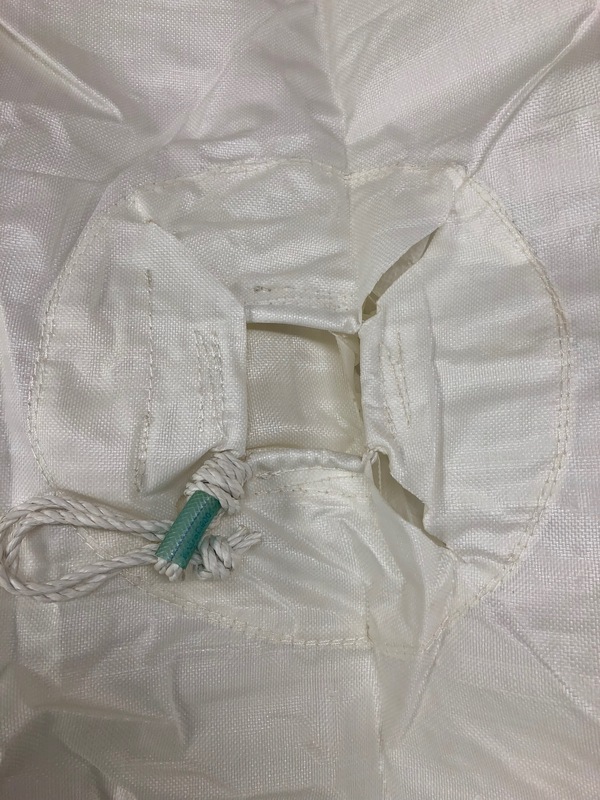 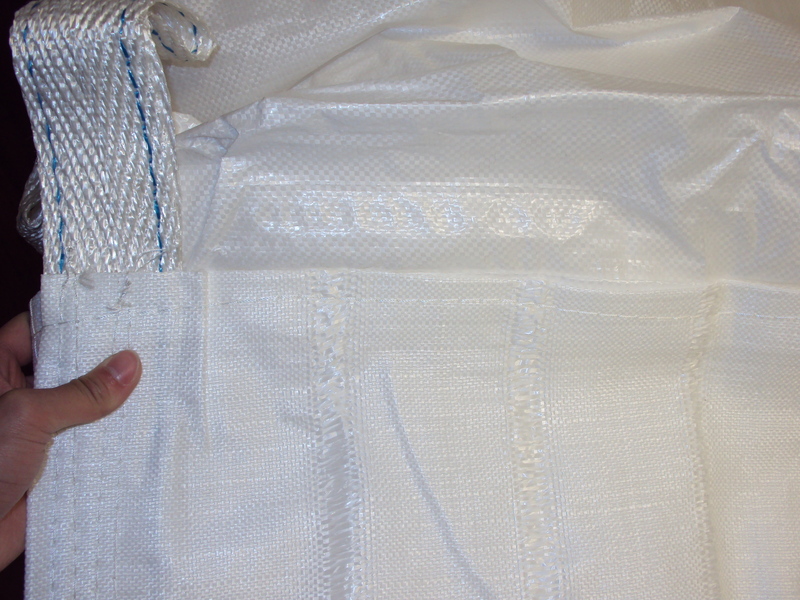 Furthermore, there are additional features that may enhance the bulk bag to better suit your needs such as inner poly liners to act as moisture barriers (either to contain in or keep out); coating and/or dustproof seams for dealing with leakages from super fine, powdery products; baffle bags for a square-shaped space saving design for optimal storage and transport utilization; ventilation strips for increased air flow of your product. 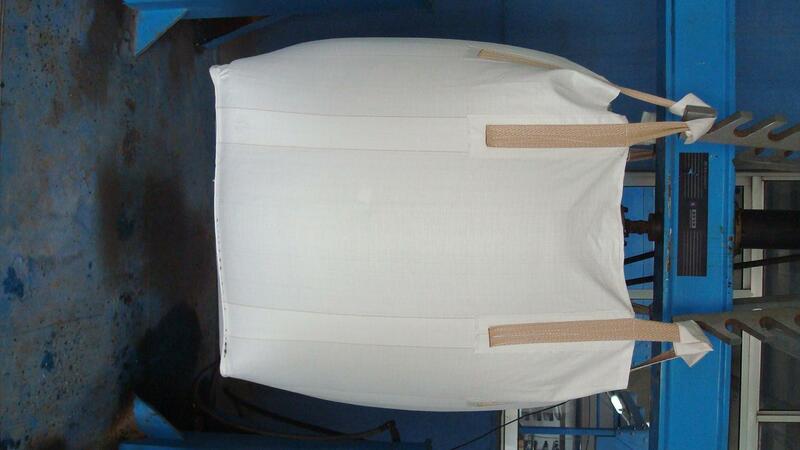 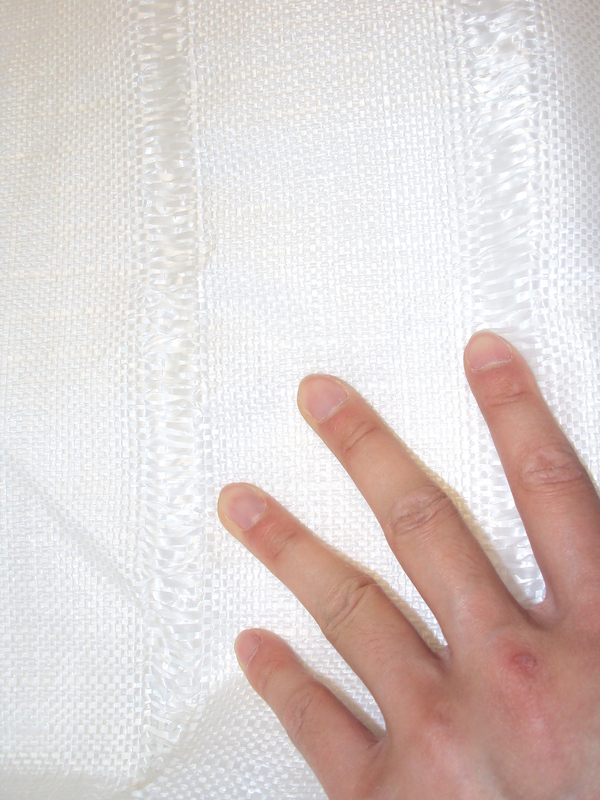 Our bulk bags are built very strong and made to handle the typical wear and tear, abuses during transportation. 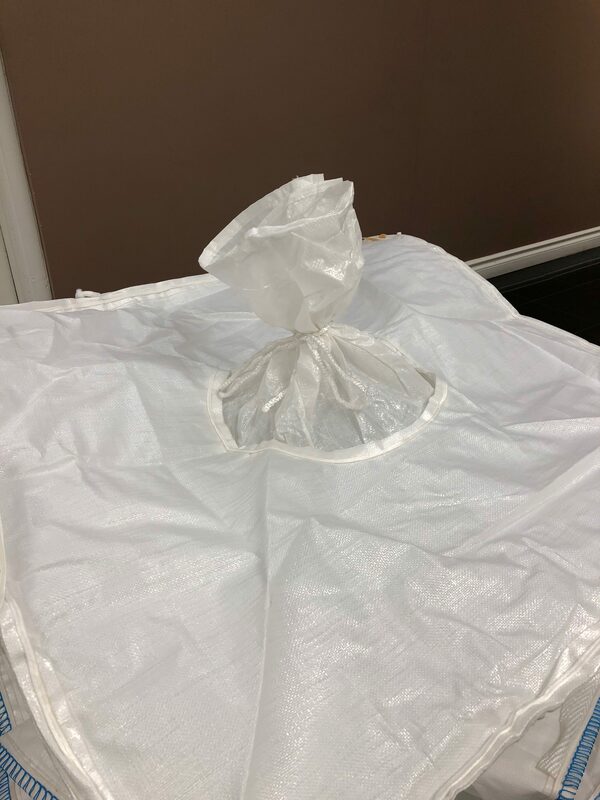 The bulk bag is the solution for you if you require a cost-effective way of storing or transporting your product in bulk volumes to your destination. 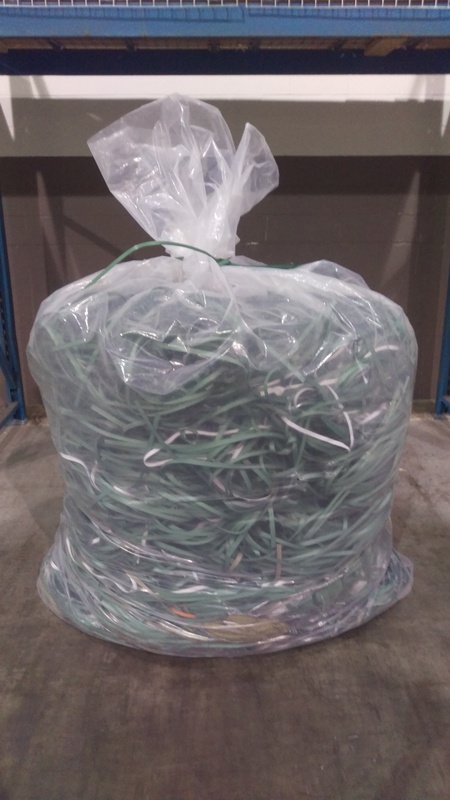 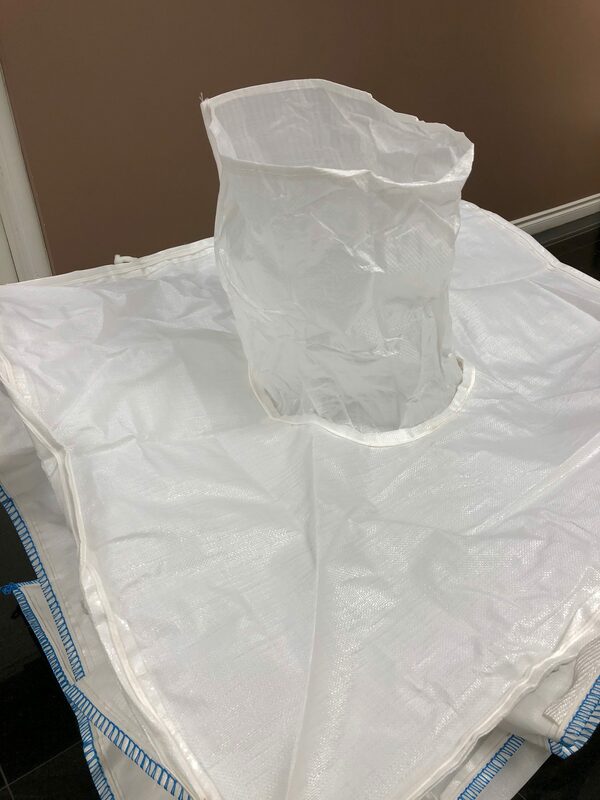 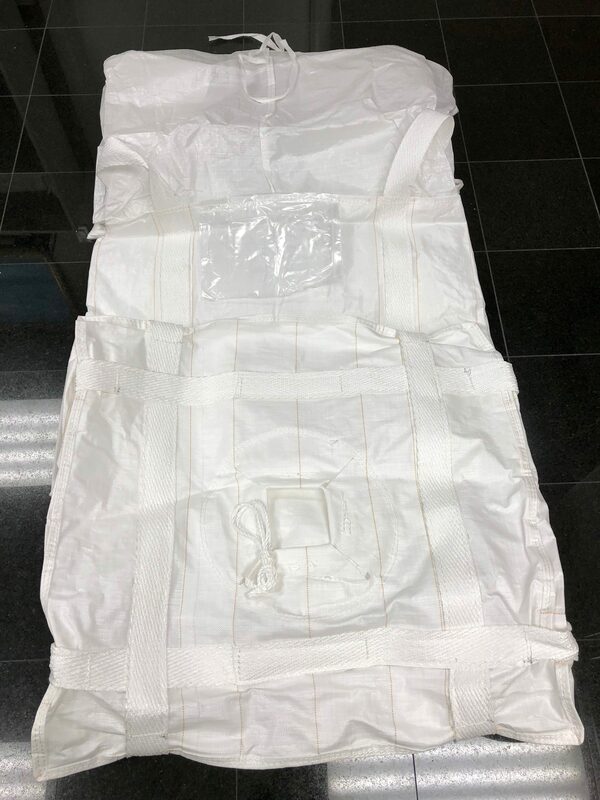 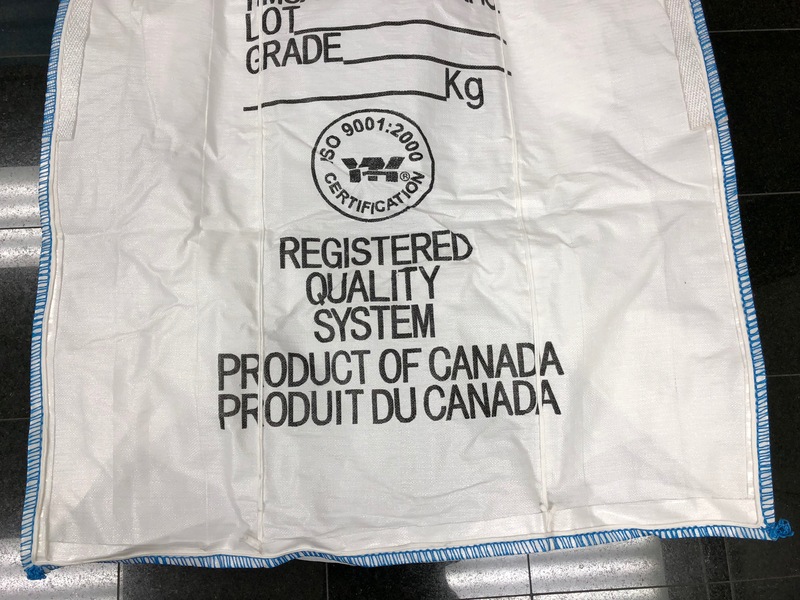 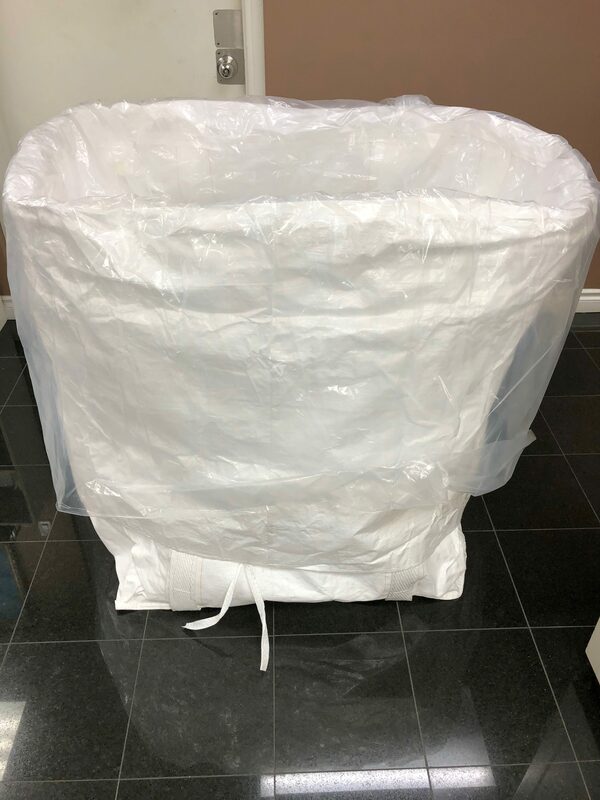 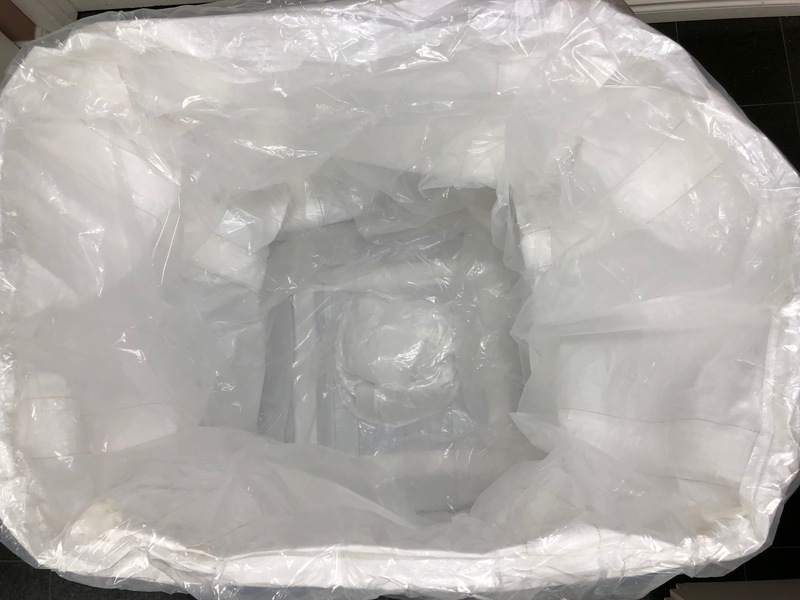 We carry one of the largest selection of bulk bag sizes available in stock in Canada to fulfill the requirements of various industries that have different bulk densities of product. 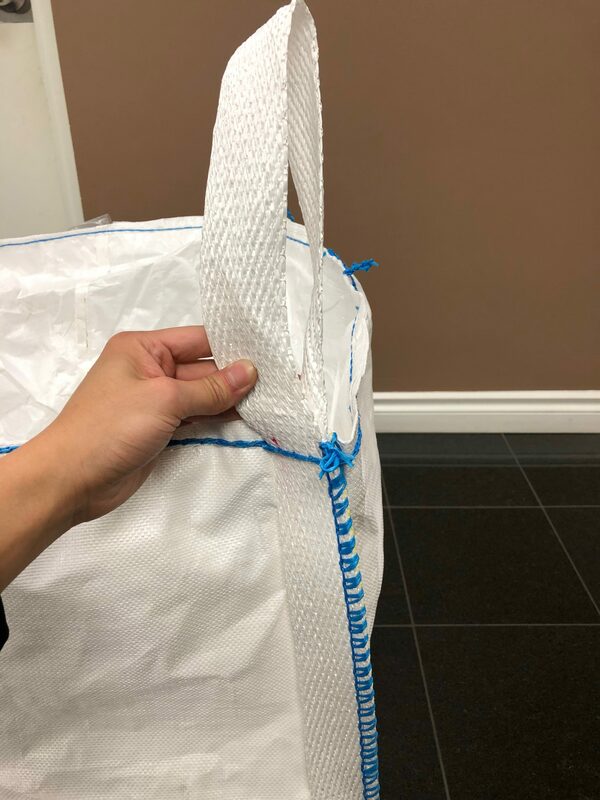 Our bulk bags ensure you have quality packaging that will contain your product safety during your use. 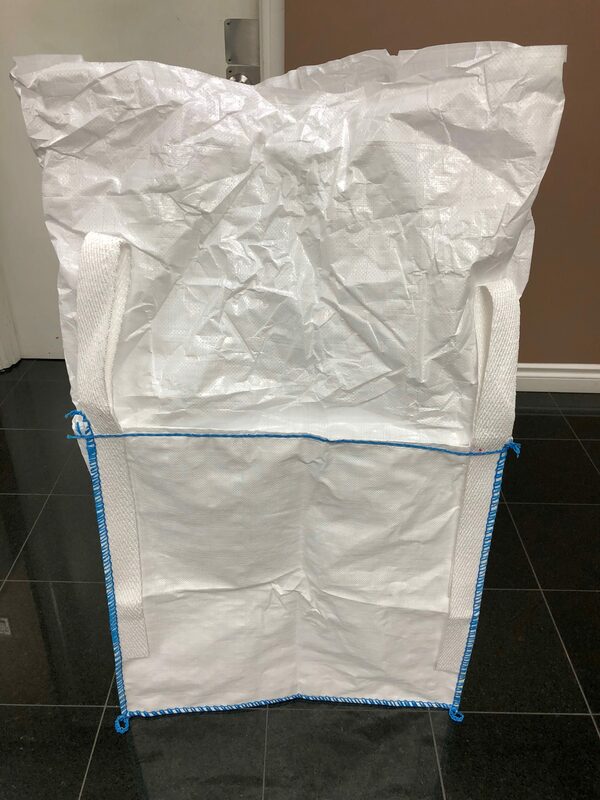 This bag can be supplied in any of the optional special features below. 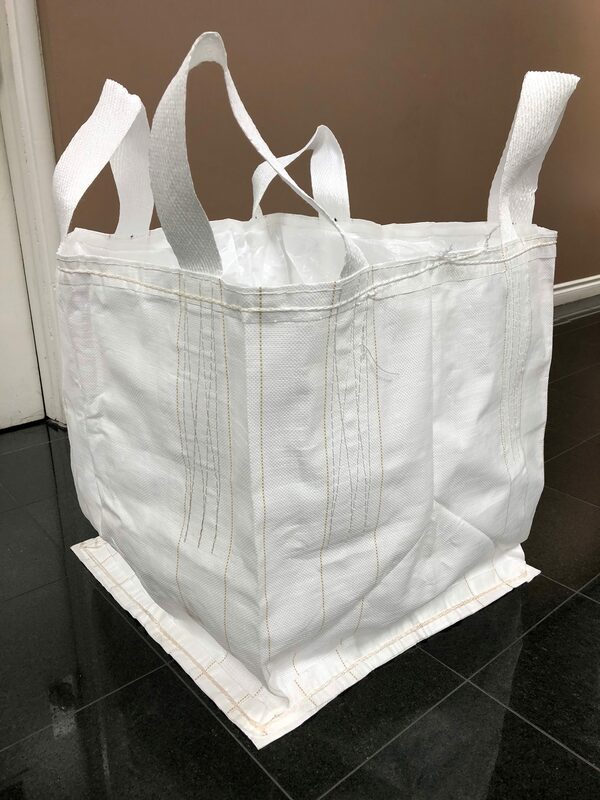 If you have special applications that require a custom bag development, give us a call to see how we can design a bag to suit your needs. 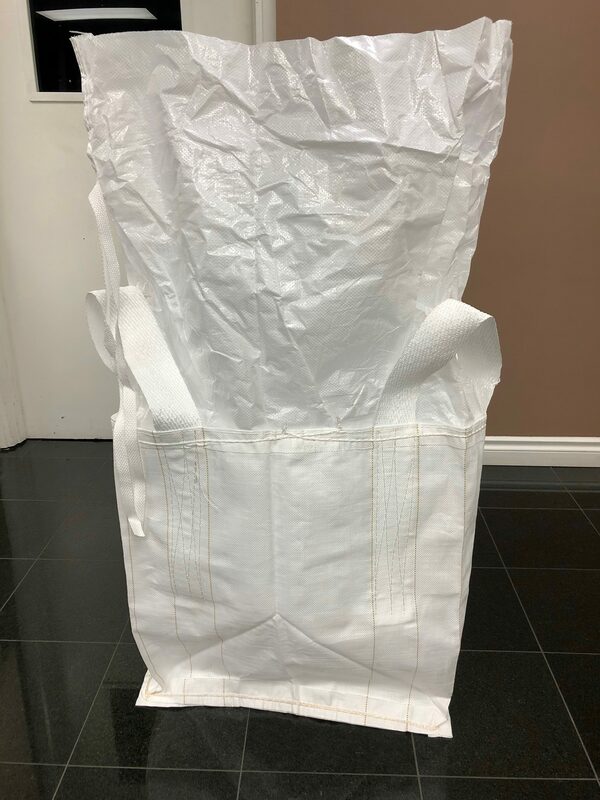 Whether it be special handling requirements or modifications to the bag specifications, we can put something together for you. 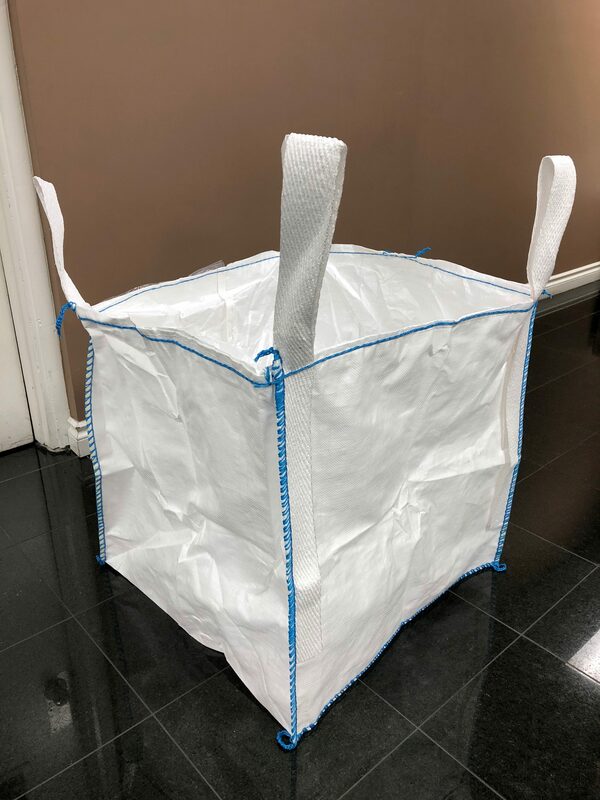 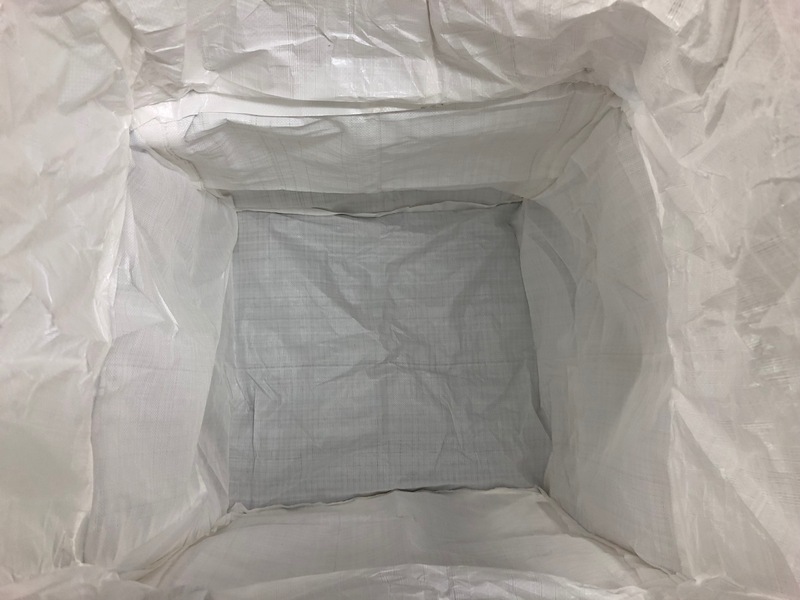 View our product gallery below and see what features and customization is available for our Bulk Bags / Flexible Intermediate Bulk Containers (FIBCs).